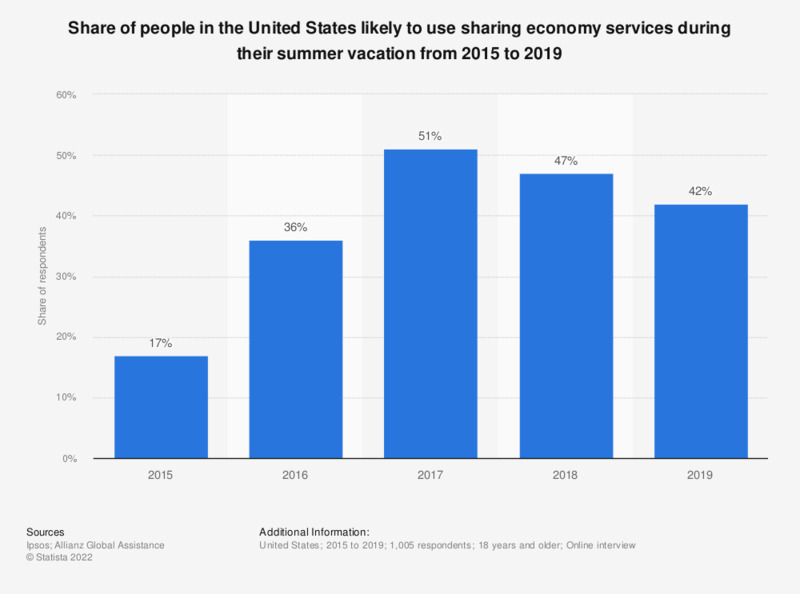 This statistic depicts the share of people in the United States likely to use sharing economy services during their summer vacation from 2015 to 2018. During the 2018 survey, 47 percent of respondents stated they are likely to use sharing economy services during their summer vacation. Sharing economy services include services such as Uber, Lyft, Airbnb and HomeAway. Original question : "How likely are you to use sharing economy services like Airbnb, HomeAway, Uber, Lyft, etc, during your summer vacation this year?" Values include respondents who answered "likely" or "very likely". 2015 to 2017 values are taken from previous surveys.